Low tire pressure causes a higher fuel consumption and can be dangerous. This simple, yet effective tool lets you easily check your tire pressure at any time. TG105 car tire diagnostic pressure meter LCD digital tyre gauge for car, motorcycle and bicycle. TOP Quality 100% Original From TOP 10 Instrument Manufacturer In China. Test tire pressure value quickly. Automatically save current data for later reading. Power on the gauge, the last test result is displayed. Press the 'ON' button for unit conversion (PSI - BAR - KPA - Kg/cm2). The simultaneous test of unit transformation shows that the value is changed accordingly. The nozzles of the pressure gauge are aligned with the tire valve and tight pressure to ensure that the nozzle and valve are in good touch,and there is no hissing sound. After 3 seconds, remove the gauge from the valve and the accurate tire pressure is read, and the data is kept for 15 seconds. 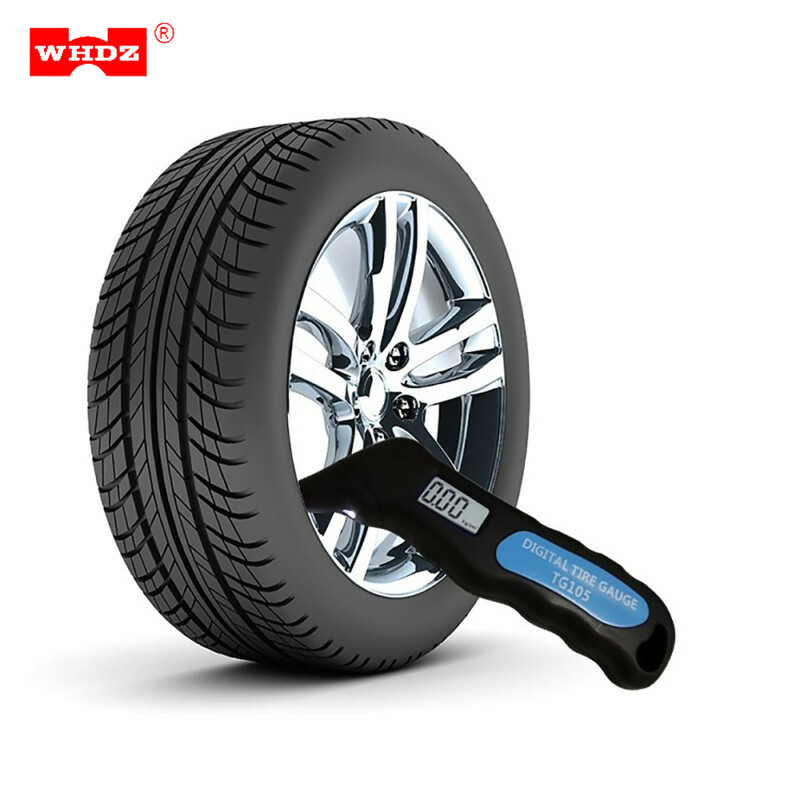 After the data is zero, move the pressure gauge to the other tires to continue to test. If gauge is not operated for 60 seconds, it will power off automatically. Or press ON key for 3 seconds to turn off the gauge. Note: Support Wholesale and Drop Shipping. Note1: Don't fit for FV.